The Best Marathon blogs from thousands of top Marathon blogs in our index using search and social metrics. Data will be refreshed once a week. About Blog Fitness lover Angie Spencer shares her knowledge and experience as both a marathoner and registered nurse to help you run smarter, feel better, and go the distance. Facebook fans 13,384. Twitter followers 1,802. Atlanta, GA About Blog Guide to half marathons across the United States and around the world with race calendars, runner reviews, course maps, registration info and more. Facebook fans n/a. Twitter followers 5,762. About Blog The Rock ‘n’ Roll Marathon Series is the ‘World’s Largest Running Series’ with more than 500,000 people taking part in 30 global cities each year. From training tips and race recaps to travel ideas, the Tempo running blog rocks. Get the most out of your Rock 'n' Roll Marathon Series races, and read on. Facebook fans 588,021. Twitter followers 140,081. About Blog Marathon Handbook is your comprehensive guide to the art of running far. Featuring bundles of expert articles, guest blogs, advice pages and race reports. About Blog Michael D’Aulerio is a proud dad, caring husband, operations manager, a brand ambassador athlete, and an Ultra Marathon runner. In the blog he posts about ultramarathon articles that you will find highly inspirational. Facebook fans 94. Twitter followers 13,860. San Francisco, CA About Blog A subreddit to discuss and ask questions about anything related to half marathon from training to tips and more. Facebook fans 1,115,532. Twitter followers 487,437. San Francisco, CA About Blog The San Francisco Marathon blog talks about our races, details, course, runners, full and half marathon training, california racing, and more. Facebook fans 82,032. Twitter followers 12,513. Wright-Patterson AFB, Ohio About Blog The mission of the Air Force Marathon is to "showcase the U.S. Air Force's legacy of pride, professionalism, and perseverance through an enduring world-class fitness experience for all. Here you will find useful articles on marathon. Facebook fans 24,004. Twitter followers 1,982. About Blog Ultrarunnerpodcast covers ultramarathon news, ultra and trail running product reviews, interviews with ultramarathon runners, coaches and athletes, and beer. Facebook fans 16,903. Twitter followers 24,347. Mountain View, CA About Blog Comprehensive up-to-date coverage for marathon, aggregated from news sources all over the world by Google News. Facebook fans n/a. Twitter followers 213,196. Vancouver, BC, Canada About Blog BMO Vancouver Marathon race weekend features races for everyone with Vancouver’s only marathon, a fast Half Marathon, 8KM race, Relay, Walk and Kids Run. The mission is to deliver a marathon event that promotes Vancouver’s active lifestyle, engaging participants and community partners to create a positive and memorable experience. Facebook fans 42,256. Twitter followers 8,622. Cape Town, South Africa About Blog The Old Mutual Two Oceans Marathon has earned a reputation as the world’s most beautiful marathon. Read the blog to find useful information about the sport. Facebook fans 49,205. Twitter followers 26,546. Minneapolis About Blog Minneapolis Running was started by Nathan Freeburg in May of 2012. Read the articles to find tips and advice to run your best. Facebook fans 4,542. Twitter followers 5,152. Dublin, Ireland About Blog The SSE Airtricity Dublin Marathon is now the fourth largest marathon in Europe behind Berlin, London & Paris. Read the blog to find more about marathon events. Facebook fans 54,607. Twitter followers 14,505. 15. The Runner Beans - Pacing the way to healthy, without missing any of the fun. London About Blog Charlie Watson is a marathon runner and fitness junkie from London. Charlie is a Registered Dietician in training, blogging about life, health, fitness, travel and food. UK running blogger aiming to run all the Marathon Majors. This Blog features workout and exercise tips, sportwear reviews and inspirational advice to prepare both physically and mentally for a marathon. Facebook fans 3,714. Twitter followers 13,469. Waltham, MA About Blog Read the blog to find tips, advice and personal stories about running, fitness and more. Facebook fans 7,986. Twitter followers 100,368. Victoria, BC, Canada About Blog The Victoria Marathon Society is a non-profit organization that was incorporated in 1982. Explore the blog to get knowledge on marathon events. Facebook fans 5,915. Twitter followers 4,638. Portland, Oregon About Blog Run Oregon was founded in February 2006 as a Community Blog on OregonLive.com as a way to share running news and event calendars for Oregon and SW Washington. Read the blog to find information on the sport of Marathon. Facebook fans 9,324. Twitter followers 1,591. Austin, TX About Blog Find information about marathon, half marathon and 5K. Read the blog to know more. Facebook fans 29,364. Twitter followers 8,180. About Blog Ultra168 is a leading ultra and trail running website covering racing and training tips, gear reviews and ultra races in Australia, New Zealand and around the world. Facebook fans 12,224. Twitter followers 6,589. Windsor UK About Blog The blog features useful tips and information about half marathon. Facebook fans 1,888. Twitter followers 1,700. Milton Keynes About Blog Read the blog to stay up to date with the latest marathon news from MK Marathon. Facebook fans 11,759. Twitter followers 4,311. About Blog Pat Butcher is a writer, journalist, television producer and commentator. In the blog you will find articles on Marathon. Cape Town, South Africa About Blog Axel Rittershaus' running blog focusing on ultra marathon running, marathon training, nutrition and races. Biltmore Estate, Asheville, NC About Blog Explore the blog to find knowledge on marathon events. Facebook fans 4,796. Twitter followers 907. Brownstown About Blog A blog by Brian. Read the blog to find articles on Marathon. Facebook fans n/a. Twitter followers 11,276. Negril, Jamaica About Blog The Reggae Marathon & Half Marathon is Jamaica’s premier International Marathon Event. Read the blog to find more information about marathon events. Facebook fans 9,203. Twitter followers 2,756. About Blog Read the news and updates for the Naperville Women's Half Marathon & 5K. Facebook fans 3,090. Twitter followers n/a. Atlanta, GA About Blog Read articles by Elizabeth Kalifeh on Marathon sport. Facebook fans 435. Twitter followers 1,697. About Blog The blog describes the author's journey of completing 50 marathons in 50 states. Facebook fans 24. Twitter followers 1,688. Facebook fans 12,912. Twitter followers 2,447. Columbus, Ohio About Blog The Nationwide Children's Hospital Columbus Marathon & 1/2 Marathon is the 17th largest U.S. marathon and largest in Ohio. Stay up to date with the state's largest marathon. Facebook fans 34,217. Twitter followers 11,160. Whistler, Canada About Blog The North Face Whistler Half Marathon is Canada's hottest half marathon following a scenic course alongside glistening lakes, glacier fed rivers, below snow covered peaks and through stands of giant fir and cedar trees. Facebook fans 3,266. Twitter followers 5,589. Facebook fans 326. Twitter followers 1,102. Limassol, Cyprus About Blog New, tips and reviews. All things trail and ultra marathon running. Read the blog to find useful articles. Facebook fans 2,529. Twitter followers 922. Fayetteville, NC About Blog The blog features useful tips and advices for your knowledge. Read to know more. Northern Kentucky About Blog Sarah Dills is a freelance writer, marathon runner and lifestyle blogger in Cincinnati Ohio. This blog is full of tips on training for a marathon while shedding a light on the funnier side of fitness. About - Hi I'm Laura Fountain. A UKA running coach, PT and marathon runner. I love teaching people to run. love running. I’ve run quite a few marathons and a couple of ultramarathons. As a coach, I help other people learn to love running and chase down their goals. About - Charlie Watson is a marathon runner and fitness junkie from London. He is a UK running blogger aiming to run all the Marathon Majors. This Blog features workout and exercise tips, sportswear reviews and inspirational advice to prepare both physically and mentally for a marathon. About - Hi, I'm Helen a 32 year old part mermaid, part running blogger based in London & Nottinghamshire. I'm also a tenpin bowler, mum of one, lover of vintage clothing, beer and cake. About - Hi I'm Gemma Hockett, an Endurance Runner. Follow my blog to find more on marathon. About - Windsor Half Marathon features useful tips and information about half marathon. 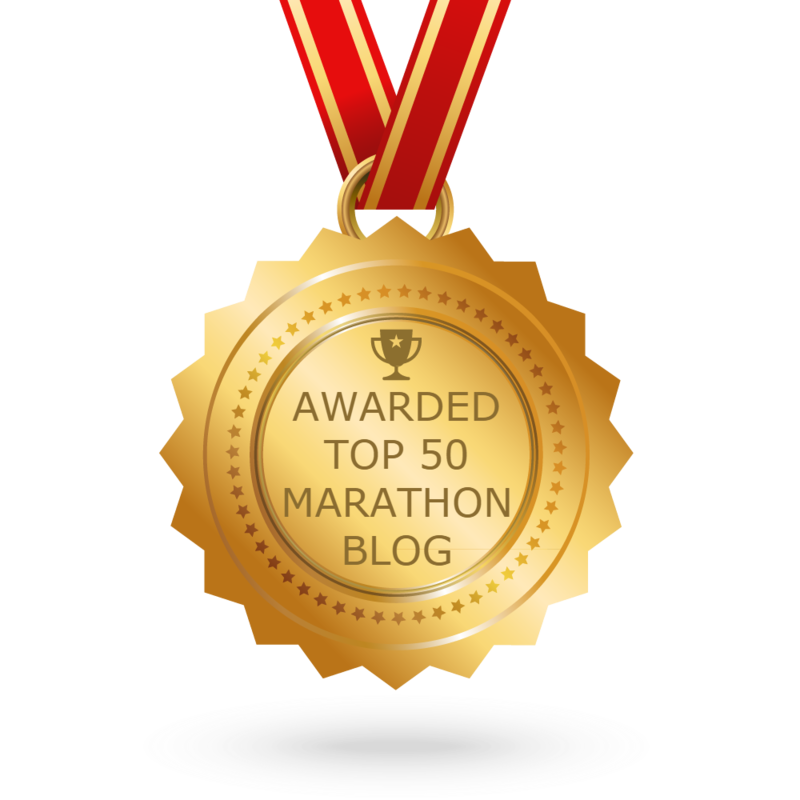 CONGRATULATIONS to every blogger that has made this Top Marathon Blogs list! This is the most comprehensive list of best Marathon blogs on the internet and I’m honoured to have you as part of this! I personally give you a high-five and want to thank you for your contribution to this world.